Welcome to our website – “a good old fashioned practice"
We aim to provide a high standard of medical care in a friendly and professional manner. The practice area lies to the east of Wakefield and centres on the ex-mining villages of Crofton with Foulby, Nostell and Wragby and Sharlston with New Sharlston and Streethouse. It includes the Heath Common, Warmfield and has traditional links to Walton, and skirts Sandal and Agbrigg. It is bounded to the west by the City of Wakefield, to the north by the River Calder and Normanton to the east by Featherstone, to the south by Havercroft and Haw Park. As well as the core villages it covers a large tract of farms and countryside and includes Nostell Priory Estate, Walton Hall and Anglers Country Park. 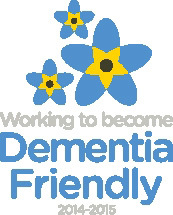 The majority of our staff have undergone training to become a dementia friendly practice to help make visiting the practice an easier experience for those patients suffering with dementia. Our building(s) were the first in the area, to trial the suggested risk assessment tool kit based specifically for GP practices and were able to work with our council and public health colleagues in making the building risk assessment tool, fit for purpose.